You love games, you love playing with other people, and you think you’re ready to take it to the next level by hosting your own game night! But before you jump in feet first, here are some questions to ask yourself, and advice from some experienced game night hosts in our community. This is the single most important question you can ask yourself when thinking about starting a game night. Every other question will be filtered through this lens, so be honest with yourself. I’m sure for all gamers, “I want to play more games” will be some part of the reason. Are you hoping to meet other gamers? Do you want more people you know to play games? Are you planning to use this as an outreach? If you’re not sure yet, that’s okay, but you need to be able to give an answer to this question before moving forward. Your answer may change over time and with the needs of your gaming group, and that’s okay, too. Allow yourself the introspection on the planning side, and revisit your motivation from time to time to be sure it’s in line with the rest of your efforts. 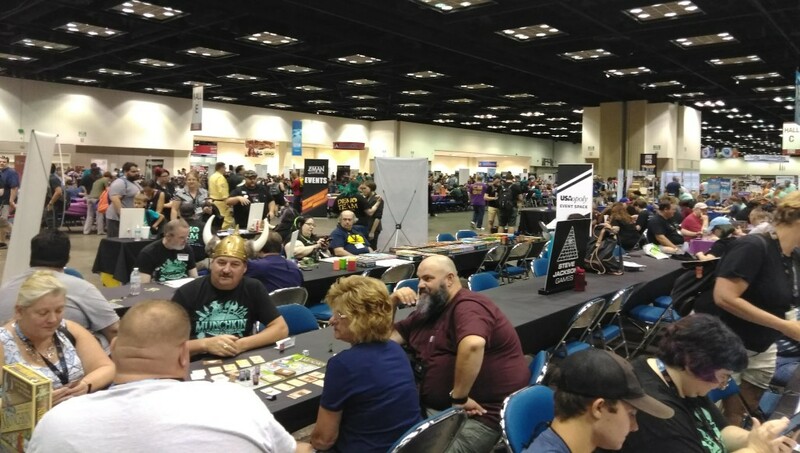 April-Lyn Caouette, LTN Chief Local Outreach Nerd — Along with this question, ask yourself, “Am I meeting an actual need by starting a new game night?” If you’re hoping to attract local tabletop gamers, have you attended any other regular game nights in your city to see if they feel their needs are already being met? Or do you want to fit a different need than existing game nights, i.e., more family-focused, more focus on cooperative games, lighter-weight games, reaching a different group of people, etc? Starting a game night is fun! But just make sure you’re not reinventing the wheel. I bet you know at least one other local person who plays games, so you’re probably going to invite them. Who else? 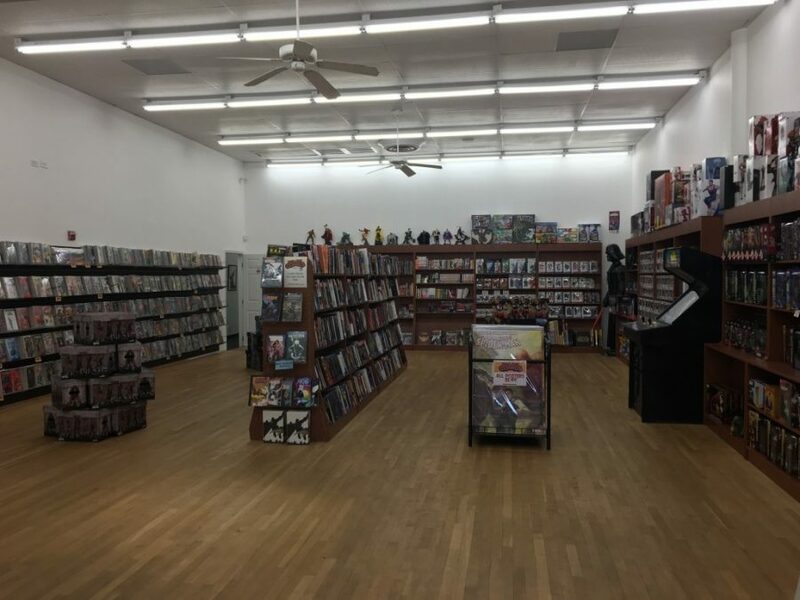 You can find gamers you don’t know through the magic of the internet and at your FLGS (Friendly Local Game Store). I imagine you also know a ton of people who don’t game. 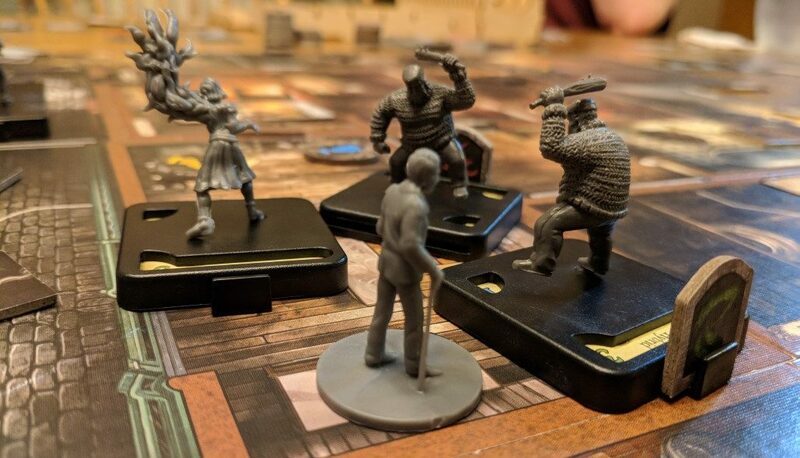 For larger game nights, that’s okay! I spam just about every local I know—gamer or not—when I’m hosting a big game night. But for my smaller game nights, I’m much more selective on who I invite. Those nights are for people who are familiar with games so we can get through the “crunchier,” more demanding games in my library (this year, Rising Sun). Think about why you want to have the game night and that should help you be able to narrow down (or broaden!) your invite list. Jeff Jackson Jr., InnRoads Ministries volunteer — Using location-based event services such as Meetup or GameFor was most helpful in getting our event started. Mike Perna, Founder, InnRoads Ministries — I always fly ‘high concept’ with this stuff—don’t sweat the details so much as looking at broad strokes—because what works really well with one group will tank another. Again, this is going to be determined by your motivation for hosting the group in the first place. A game night for new gamers will need to have a few different games than one for seasoned gamers. However, most game nights will have a mix of experienced and inexperienced players. This doesn’t necessarily mean it’s more difficult to pick games for them. 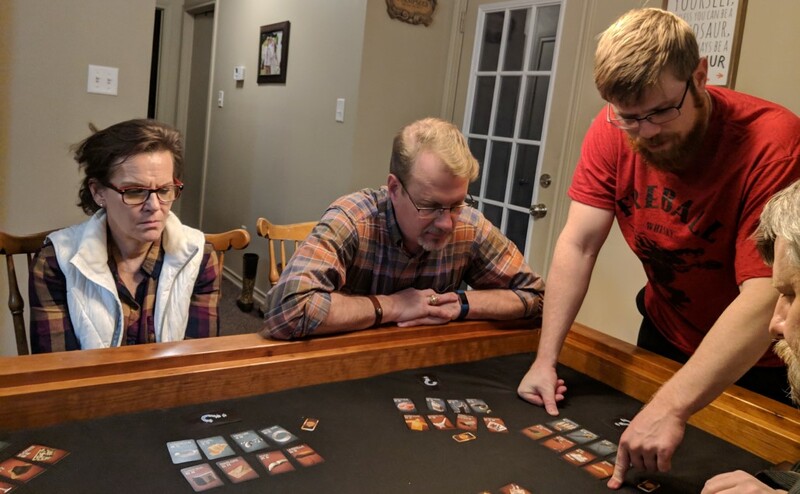 At my larger game nights, I try to suggest games that are easy to learn and teach that will at least provide a thirty-minute to an hour-and-a-half max experience for the players. I try to pick games I’ve played before for those situations. But if you have a group familiar with games and they want a four-hour epic, don’t hold back! Just be sure in a situation like that one that either everyone can play (if you have a small enough group) or that the people not entrenched in the game have options that interest them. I’d ask your guests to bring games as well. Most personal board game collections can’t sustain a twenty-person six-hour gaming session. Mike Perna — At first, focus on games literally anybody can play. It gives you the best chance of getting folks to the table, it can get the broadest spectrum of folks sharing the same space, and it’s less stress on leaders to constantly teach complicated titles. Eric Walker — Keep it simple. Five to ten games of various weight/player count/type. For our last big game night, we had twenty-six people over at my house with four tables going at a time. Not everybody’s house is capable of accommodating that, and that’s fine! But maybe your game night isn’t for twenty-six people. Maybe it’s for five. Is that doable at your house? But what if this is an outreach? Have you talked to your FLGS? Your local libraries? Your church? There are other things to consider for location as well. Will the location be accessible to people who may need wheelchair ramps or for people who can’t read in dim light or hear in loud rooms? Are there enough chairs? Enough bathrooms? Parking? This is probably the most boring logistical question, but it’s important to consider. You’d like all those people to come back, right? 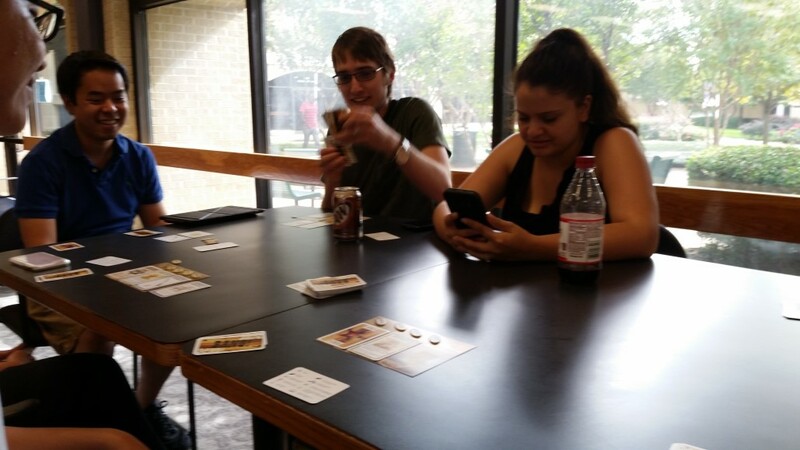 Ryan Eighmey, Love Thy Nerd community member — I’m talking with a leader at church about starting a game night group. We’re going to have it at the church, but I also think that eventually, I want to have it at comic book stores around my area. The ones I frequent are friendly, stock their shelves with cool games, and I know they’re always welcoming to people meeting up and using their tables to play games. Eric Walker — Keep it simple. Four to eight big, clean tables. The best lighting you can manage. To food or not to food—that is the question. Food never fails to motivate people to attend, but this is an event where you’re using your hands to interact, and you want to protect the games that you (or your friends or a business or organization) are providing for the event. Some people tell players to eat before they come in an effort to eliminate the risk of spills or accidents. Some provide light refreshments. At my small game night, we have rotating dinner duty between members and play once the table is cleared. At my large game night, it’s potluck so people can have something to nibble on. Consider the needs of your group and the capabilities of your facility (Kitchen? Electrical outlets? Serving area?) when deciding what will work best for your game night. If you do have food and drink at your event, make sure you have supplies (napkins, paper towels, mops, etc) close at hand for cleaning up accidents quickly. We’ve had a couple spills (at least one of them me, hi) but everything has come out unscathed. It’s definitely something to consider when a $50–100 game is on the table. Meeting up with even a single person can often be a headache, so trying to find a date and time to get twelve or twenty people together can be a nightmare. Unfortunately, I have bad news for you: not everyone that you want to come will be able to be there. But you can give them all a good shot at it by setting your date early enough (at least two weeks out) so that they can make an effort. As far as time of day, many game nights are actually daytime affairs over a weekend to accommodate the most gamers. Personally, I’ve had good luck with mine running until the wee hours of the morning. Ultimately, this should be decided in consideration of your attendees’ availability. After all this planning, are you ready to take point? Do me a favor, please, and don’t do this solo on your first try. Ask a couple gamer friends to help teach new games to people. Ask a friend who’s awesome at hosting to help you keep an eye on food and beverage levels, should you include them in your game night. And definitely ask one or two friends to come early and stay late to help you set up and breakdown chairs/tables and clean up your space. You’ll be out of adrenaline by then, I promise, and some helping hands will go a long way. Jeff Jackson Jr. — It helped to have someone involved with getting it started who has run tabletop nights before. I was fortunate to find someone after I posted on BoardGameGeek. Also, as a host, it’s important to make sure everyone is playing something. I always keep my eyes open for new people or people who are ‘gameless’ and make sure they are connected to a game as soon as possible. Eric Walker — Be the best host you can be. Always welcome guests. Always offer to play a game/invite others who are waiting. Never say no to a game. Be okay with not playing (sometimes a good host manages the crowd and teaches but doesn’t get to play). Be kind. Thank everyone in whatever way you can communicate. Be sure to tell them you can’t wait to see them next time (give them that info if you already have it planned). Try and remember their names for next time. If you’ve made it this far in the planning stage, you’ll be able to basically drag-and-drop your previous answers into this box to build your structure. People will come and eat and then play games. Or they’ll come and play games and then eat. Or they’ll graze throughout the games. Or they will have signed up for which games they want to play ahead of time. Or they will play a couple games, then eat, then play a large party game, then go home. Like the rest of these, the needs of your gamers should dictate how your night will be structured. And if you have some leeway, consult the people helping you make this a reality and find out what they’d like to see happen. Our friends at InnRoads Ministries put together a list of guidelines they use in their games ministry and outreach. They’re great principles to keep in mind for any game day. 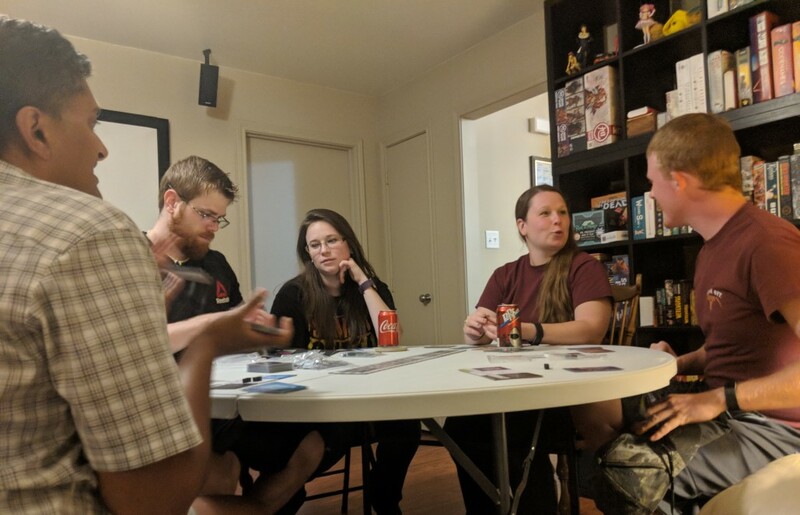 Game nights can be an incredible time to make friends and connect with a community. They can also be an awkward time of mismatched expectations. 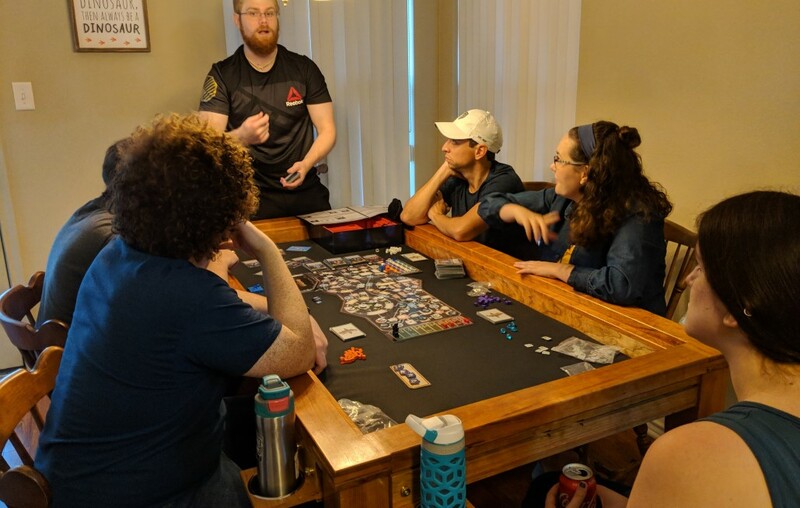 When you’re honest with yourself about why you want to start a game night and you consider the needs of those attending, you can transform a room full of people into a family of gamers who enjoy playing together.